Home / HRM / Management / Should Companies Restrict Employees Use of Social Media? 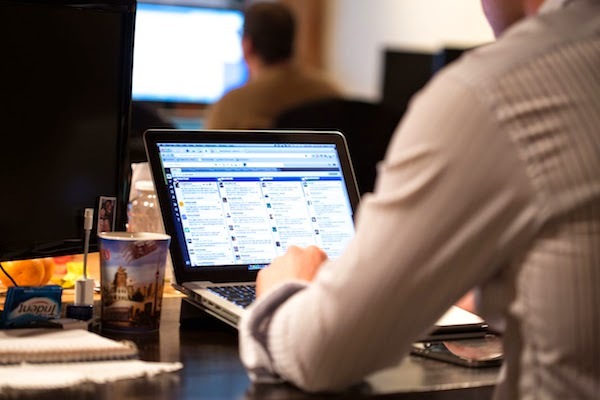 Should Companies Restrict Employees Use of Social Media? I recently met a university batch mate of mine, who is now in the field of HR. While discussing where we are and what we do now, eventually it opened up for a very fruitful discussion on the topic of role of social media in the field of HRM. My friend complained social networks as a productivity killer and something, which all companies should get rid of at all costs. This did not surprise me at all, as this used to be the same sentiment I noticed from all HR professionals I meet. In fact, it is not an opinion limited to HR professionals, but also a common belief among most of the senior level executives in many companies I know. Surprisingly enough, these executives somehow agree with me more often than not, about the value of social media as a marketing communications channel. They never show any doubts about using Facebook and Twitter for brand building, customer care or lead generation. They are always very keen in learning more about social media as a marketing tool. I see this as a funny paradoxical situation in the way people approach social media in different contexts of HR, and marketing. When we talk about marketing, social media is now the hero. The same hero turns into a villain, the moment we change topic to HR management. We say, social media is empowering the customers and the companies (brands) who do not adapt to this reality are slowly moving towards extinction, while those other companies who adapt to the situation will continue to win more customers. If we replace the word ‘customers’ with ‘employees’, and the word ‘companies’ with ‘employers’ would there be a difference to this principle? After all, the customers of Brand “X” are got to be the employees of Company “Y”. Social media today is empowering people in many ways. Social media allows people to be better aware about the products they consume, people they meet, movies they watch, and not only that. Social media today is empowering employees about the companies they are (currently and potentially) working for. I believe, more than the ‘productivity’ concern, this is the major worrying factor for HR professionals and employers. They are more worried about their employees being exposed to negative news about their companies through these social channels, or they may be more worried about their employees freely networking with the employees of a competitor. Another reason why senior executives fear social media is, their fear of losing (or leaking) industry specific knowledge. We say ‘knowledge is power’ and social media enables people to share knowledge much easily. Traditionally, companies are very protective about the most knowledgeable people in their workforce so they take all safety measures not to lose such people. However, exposing such a person too much into social media may pave the way for a competitor to spot a potential target for headhunting. Because of this, the HR professionals impose tight regulations to keep their people away from social media. Should HR Professionals Be Worried About Social Media? In my opinion, ‘employees becoming more social savvy’ is an advantage for most companies. Having a staff who is more Facebook savvier than their competitors will give a company an undeniable competitive edge over the rivals in social media marketing frontier. Social media is all about people, the real people behind a brand are the best marketers for the brand on social media. On the other hand, social media can be positively used as a cost effective training mechanism for companies. Instead of sending people for highly expensive training programs every month, why not encourage them to read freely available knowledge on industry related blogs? Social networking is seen as a ‘fun’ tool or a ‘time killer’ but the people who have seen the real educational value of it are making the maximum use of it to stand out from the crowd. The whole fear of ‘losing out knowledge’ is a complete madness in my opinion, and I see it as a very similar situation of an over protective father, fearing about his daughter losing virginity. No matter how much you fear, it will anyway happen, one way or another! If you regulate your best employees too much, they will anyway decide to park in the yard of your competitor one day; just as that daughter of an over protective father elope with a guy she meet at a bus halt one evening. It’s just a matter of time. Therefore, even though limiting access to social networks and regulating the use of social media may solve the ‘productivity problem’ and ‘knowledge leakage problem’ in the short term; you will eventually kill your entire business in the longer run. Much constructive way to approach these problems is adapting a solid (and reasonable) social media policy for your organization. This policy should guide your employees about usage of social media. The policy should not be just a list of things, which your employees are not allowed to do on social media. Your social media policy should reflect the stand you take about social media. For example, if you are communicating to the world that your company is the best company in the world when it comes to social listening; you should not contradict that identity with a funny clause in your internal policies, restricting your employees talk their own opinions on social media. (Remember, listening is the other side of the coin of talking). However, your policy should clearly guide your employees that, when they talk on social media they should never contradict their own opinions with the opinions of the company as a corporate citizen. Expressing an opinion on behalf of a company should be exclusively left as the business of official spokes person of the company. I would firmly suggest referring to some of the existing policy documents publicly available, before you compile your own policy document. This might be a helpful starting point for you to draft your social media policy.